Piedmont Heights is home to several public pieces of art! You can also find these beautiful landmarks on the Piedmont Heights Walking Tour map (PDF), along with other points of interest. 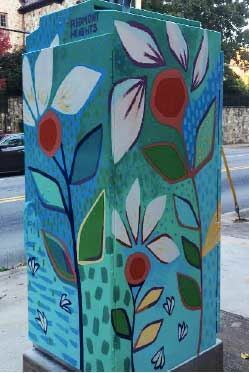 Traffic signal box art by Lauren Pallotta Stumberg/ThinkGreatly at the intersection of Monroe Drive and Montgomery Ferry Drive. Made possible by a Neighborhood Arts Grant from the City of Atlanta Mayor's Office of Cultural Affairs (2018). 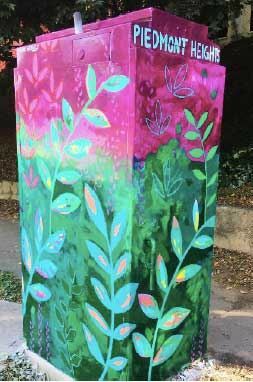 Traffic signal box art by Lauren Pallotta Stumberg/ThinkGreatly at the intersection of Monroe Drive and Armour Drive. Made possible by a Neighborhood Arts Grant from the City of Atlanta Mayor's Office of Cultural Affairs (2018). 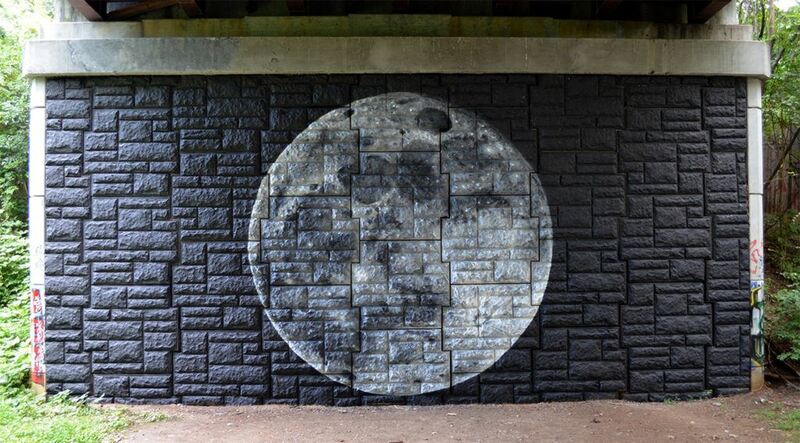 Beltline art mural by Benjamin Janik on the Atlanta Beltline under the Montgomery Ferry bridge between Ansley Golf Course and Flagler Avenue. LEARN MORE ABOUT Piedmont Heights via our Walking Tour!